Romans 13:1-7 Let every person be subject to the governing authorities. For there is no authority except from God, and those that exist have been instituted by God. (2) Therefore whoever resists the authorities resists what God has appointed, and those who resist will incur judgment. (3) For rulers are not a terror to good conduct, but to bad. Would you have no fear of the one who is in authority? Then do what is good, and you will receive his approval, (4) for he is God’s servant for your good. But if you do wrong, be afraid, for he does not bear the sword in vain. For he is the servant of God, an avenger who carries out God’s wrath on the wrongdoer. (5) Therefore one must be in subjection, not only to avoid God’s wrath but also for the sake of conscience. (6) For because of this you also pay taxes, for the authorities are ministers of God, attending to this very thing. (7) Pay to all what is owed to them: taxes to whom taxes are owed, revenue to whom revenue is owed, respect to whom respect is owed, honor to whom honor is owed. When I was a police officer I often had to go testify in court. Portland, Oregon was a large enough city that you would see new assistant District Attorneys begin their careers in traffic court, prosecuting speeding offenses then moving up to DWI cases and so on. They had to learn some basics in presenting their case, and one of the things they had to establish at the very start was something called venue. Venue has to do with the jurisdiction of the court. A court in Oregon, for example, cannot try a speeding offense if it occurred in the state of Washington. And if the court were in Portland, then the offense had to have occurred in Multnomah County, and so on. So the prosecutor would have to establish that, for instance, SE 139th and Division Street was in “the county of Multnomah, State of Oregon.” If he forgot to do that, the case could be dismissed. Venue, you see. Here in the 13th chapter of Romans, the Apostle Paul is teaching us about venue. He says that God has appointed the civil authorities to carry out a particular function. The police, the prosecutor’s office, and the courts all “bear the sword” for the purpose of dealing with wrongdoers. The civil authorities are to be a “terror” to evil people for the benefit of us all. Therefore, we are all to be in subjection to them. Christians and pastors and churches forget this, and in part (perhaps in large part) this is why abuse, both domestic and sexual, is being covered up in our churches. The thing is in the news now with well known evangelicals being sued for this very thing. 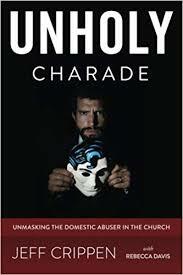 It is contended that rather than report cases of sexual abuse and spousal abuse (criminal actions) to the civil authorities for prosecution, church leaders hushed it up and handled it “in house.” Or we should say, “mis-handled” it. Grievous wrongs were done to victims. Churches do not have venue in regard to criminal offenses! We believe in the separation of church and state, just as Romans 13 teaches. The church has its venue (spiritual and religious) and the state has its venue (earthly and legal). Criminal offenses cannot be tried in the church! That has been attempted in church history and the outcome has never been good. The church does not rule over the king, nor does the king rule over the church. They each have their assigned areas of venue. If the king errs spiritually, it is the duty and right of the church to correct him. And if the church errs in criminal or civil matters, it is the duty and right of the king to correct the church. That is a headline you never want to see as a result of something your church did, or did not do. This puts it in the right perspective. Thank you. Excellent! and all need to hear, listen and respond rightly. Even the “state” needs to not be so quick to dismiss a case, simply because it involves a Church or a “c”hurch. I think this is what happened around three years ago with the Duggar family if my memory serves me correctly. Josh Duggar molested his older sisters in their sleep. The parents kept it hushed up and sent their son to some kind of “spiritual retreat” for a year to supposedly come free from this lust. It must have not worked as he (Josh) was found on that adult affair website cheating on his wife Anna. My heart broke for her to be publicly humiliated like that and then told by the church and everyone she knew that she had to forgive and stay married to Josh. And I don’t believe his sisters had received any professional counseling for their brothers indecent liberties! I also believe that any law that is broken in church like this should be reported to the police. Most people do not learn a hard lesson without some stiff discipline. By the way, Gothardism has done severe harm to thousands of Christian families.